Want to keep up the hard work, while keeping your maintenance costs down? With the cleverly and solid designed 33D-9, you can! Introducing the NEW 9 series of diesel forklifts. 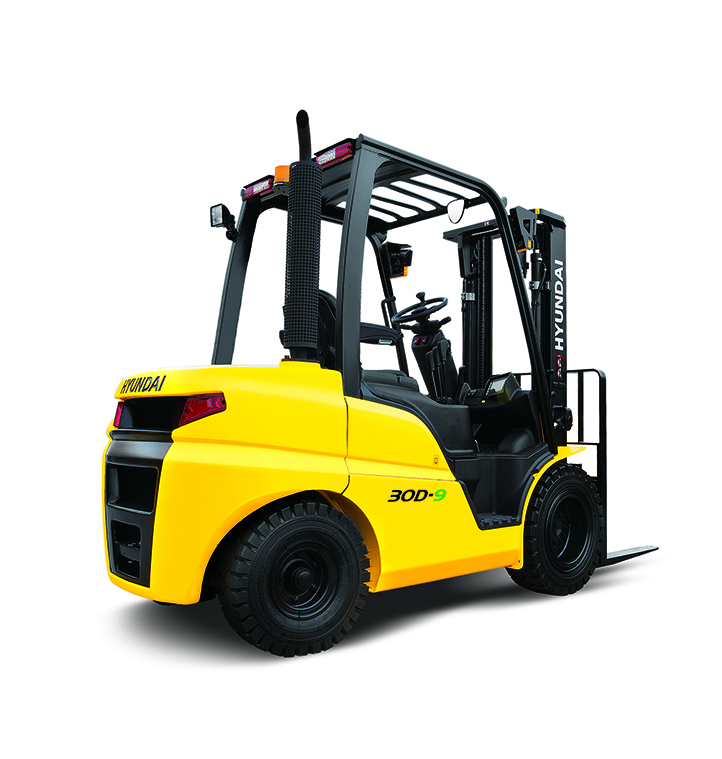 This diesel forklift with Proven Quality and Advanced technology, provides every operator with a comfortable and safe driving position, increased productivity and easy maintenance. This forklift has it all... maximum performance, spacious operator's cab, Kubota diesel engine, HAC (Hillstart-Assist Control), wet disc type brakes, 5.6 inch LCD colour monitor, truck inclination warning system, password starting, parking brake switch, clutch protection system and a lot more. Advanced Safety includes optimised lift cylinder arrangement ensuring wider visibility, panoramic mirrors, strong overhead guard exceeding ISO and ANSI regulations, low entrance height, Led safety lamps and rear reflectors, auto fork levelling, load indicator, OPSS and many other safety options are available. The ideal arrangement of components ensure easy access & convenience for maintenance. The 33D-9 with its High Efficiency and Optimal Performance, is the ideal solution for your business! The 22D-9/25D-9/30D-9/33D-9 Diesel Forklift Trucks are equipped with a Kubota V3307 Engine. Due to the advanced engine system on the Kubota V3307, ultra-low emissions (Stage IIIB) are achieved without the use of a particulate filter. Because only a DOC (Diesel Oxidation catalyst) is used, no downtime is created by the after treatment device.